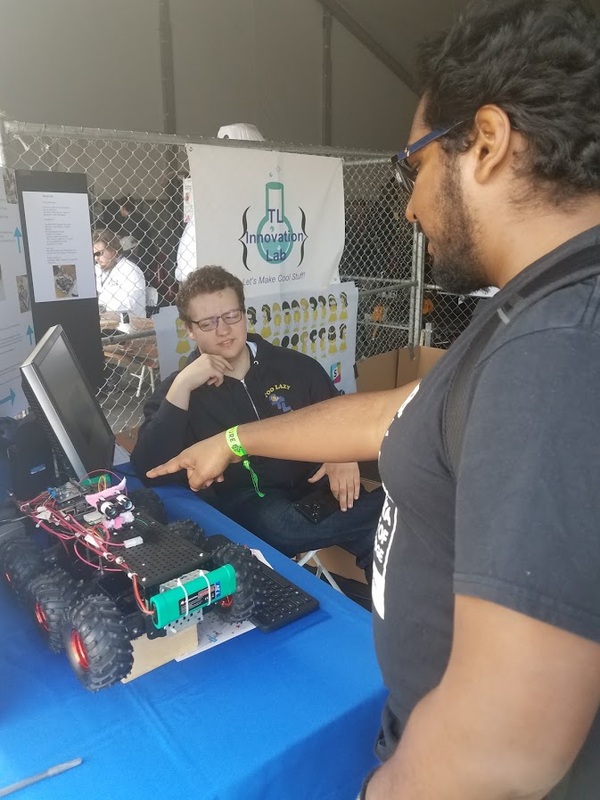 In addtion to our enrichment programs in applied computer science, TL Innovation Lab students participate in a variety of school and community events to foster engagement and build community around computer science and all things tech. As you may know only a few years ago, our high school did not offer any computer science courses in the cirriculum. Through our advocacy and getting our name out into the community, we helped to champion the importance of applied computer science to better prepare our students for college and career. 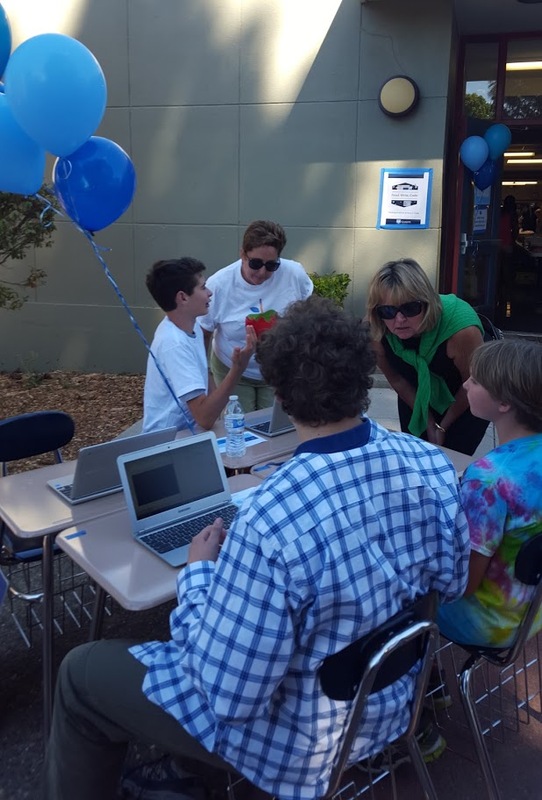 Also, TL Innovation Lab's mission is to provide computer science for all students and we are working very hard to help bridge the gap in gender and diversity at one of the most diverse high schools in Marin County. Many of our events feature some of the top leaders in the tech industry to empower and inspire all of our students at TL to explore the opportunities in the tech industry; and especially our female and students of color. TL Innovation Lab programs provide our students a greater depth in inquiry learning, collaborative learning, and project-based learning which have long-term positive effects on student achievement and success for college and career. 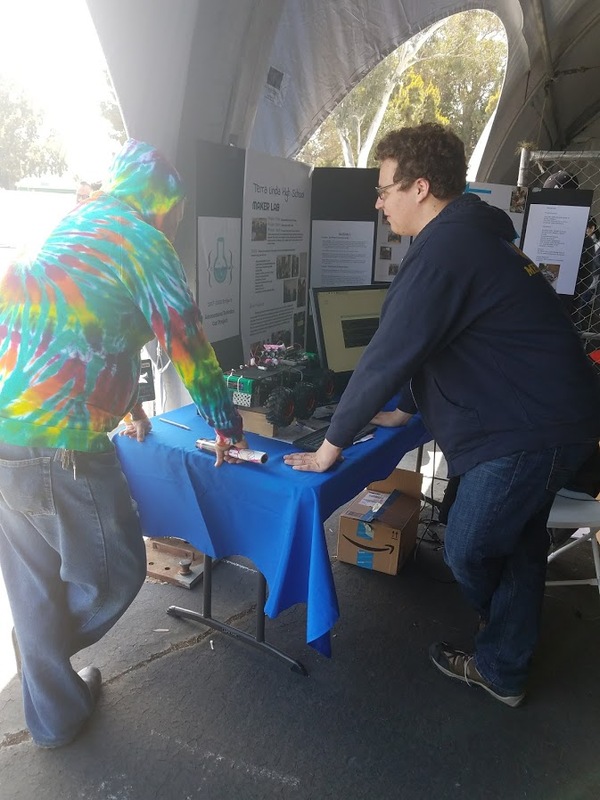 We are a student and volunteer driven erichment program that provides opportunities in applied computer science for all students while helping to bridge the gap in gender and diversity in tech at one of the most diverse high schools in Marin County! See how much fun we have doing it! Our Industry Insights lunchtime lectures feature leaders from the tech industry who empower and inspire our students by sharing their academic and professional experiences. Industry Insights has explored a broad range of careers in tech from cyber risk management to space exploration and more. Many of our special guest speakers offer their encouragement and mentorship beyond their lecture. We are proud to share that we have also hosted some of the top women leaders in tech who become role models for our female students who are newly exposed to applied computer science. Industry Insights draws a diverse range of students and faculty to our events and they are free and open to the public. Above is an archived calendar of some of our past events! Highlights Computer Science Education Week 2018 at TL! 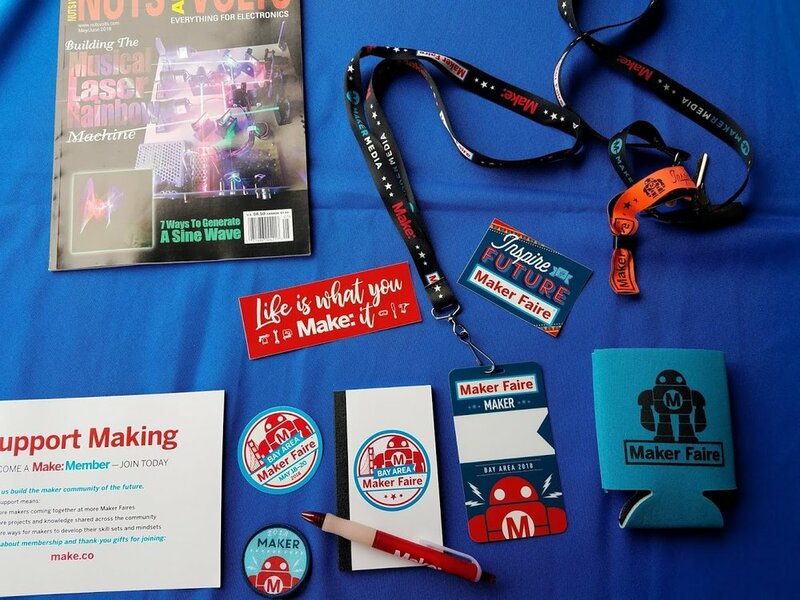 Three days of maker fun for our AMAZING students at TL Innovation Lab & Too Lazy Games! 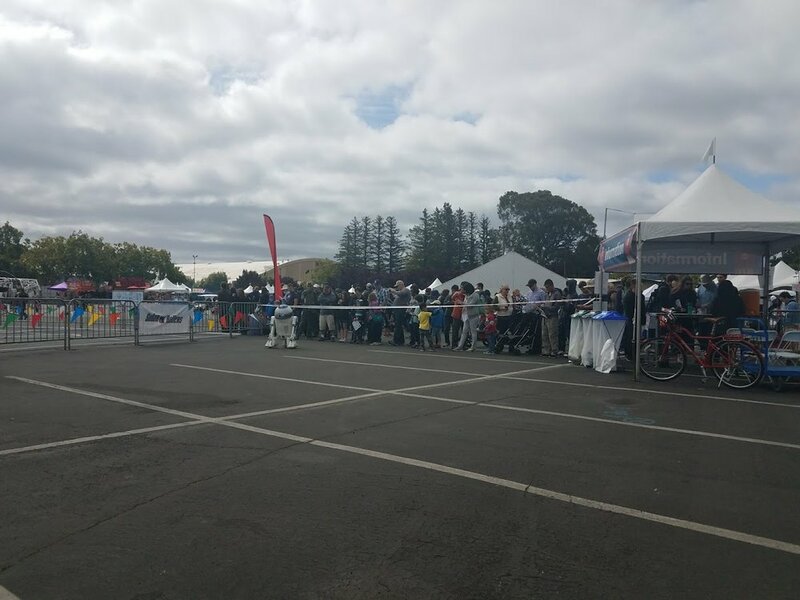 Congratulations on showcasing student projects, sharing with industry & college admissions professionals, and celebrating the passion of making really cool stuff at the Maker Faire Bay Area 2018 — 13th Annual! 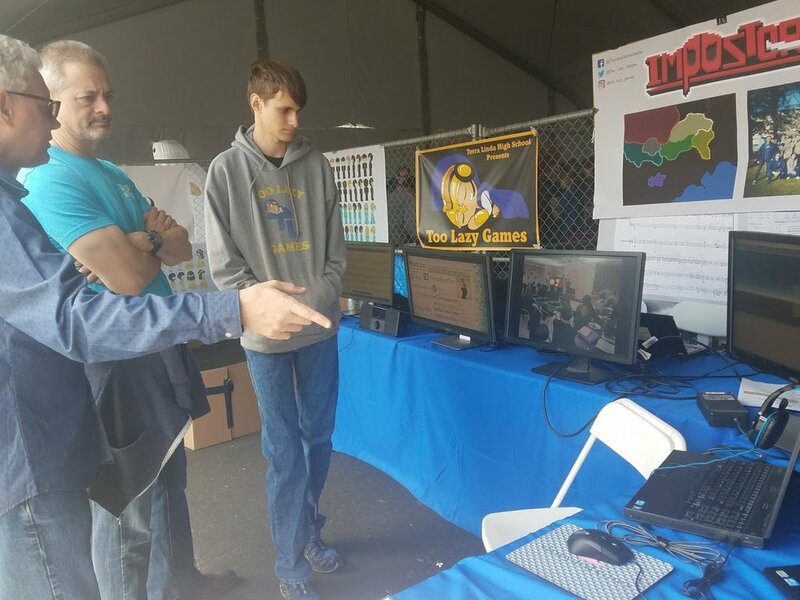 Thanks to all of our wonderful mentors Roger Ruttiman, TL Maker Lab Guest Mentor and Mark James, Mentor Too Lazy Games and incredible parent volunteers for chaperoning this wonderful experience for our students!! 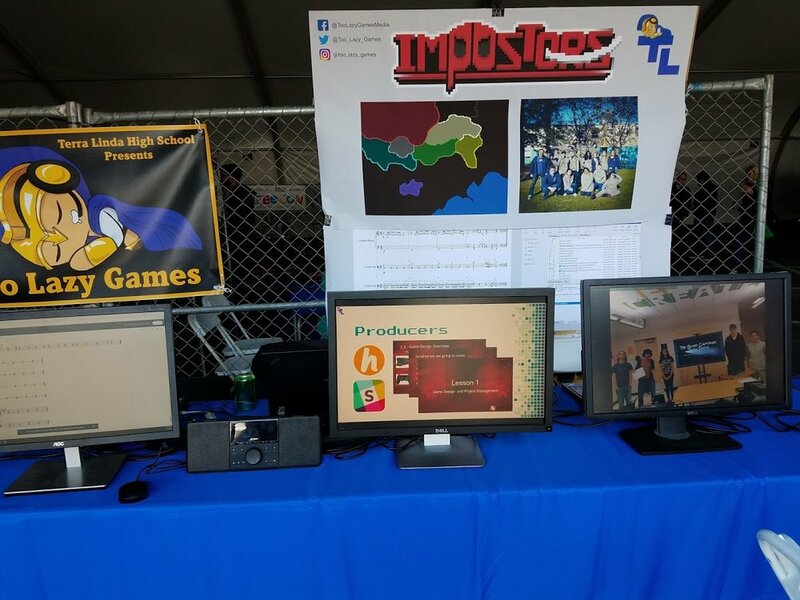 Check out more details on our TL Marker Projects for TL Maker Lab and Too Lazy Games, TL's first video game development studio. Making A Video Game with Mentors from 2K! National Computer Science Week & Hour of Code 2017! Building Community Around Computer Science with Principal Dunlap and Lisa Cummings, Graphic Design Teacher, along with students at Hour of Code! Go Hour of Code! Go Girls Who Code! TL Cheer Team Members learning how to code! Thanks to our generous community partners for their raffle donations! 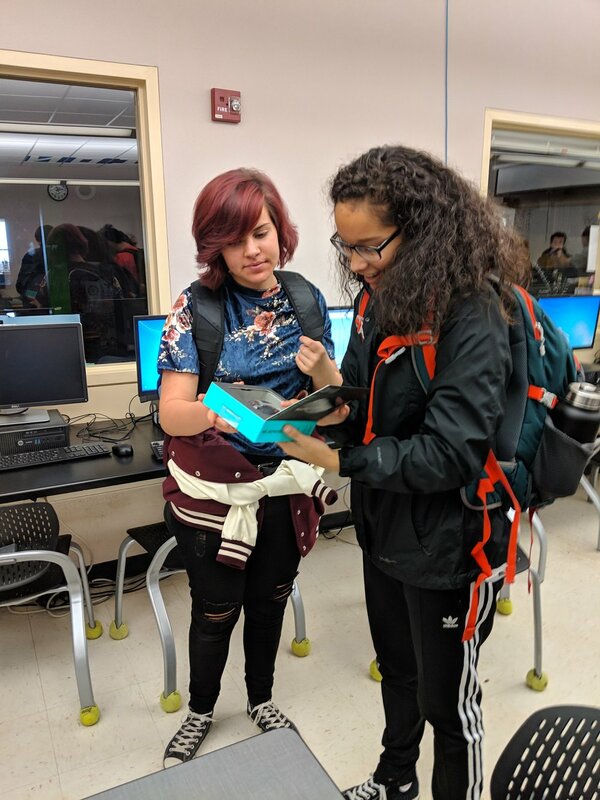 Thanks 2K for the generous donations of swag and games for Hour of Code Raffle! Hour of Code brings a diverse range of students to learn how to code! Thanks to 2K for their generous donations of swag and video games! Raffle Prize selection thanks to our generous donations from community partners. Thank you Evan Neurmann for sharing about Cube Sats with our students at TL! Evan J. Neumann answers a room full of questions about Cube Satellites. Mr. Gustin hosts a demo day of student projects from Intro to Java Class for National Computer Science Ed Week. Copy of Girls Who Code represent at Mr. Gustin's Demo Day for Intro to Java! 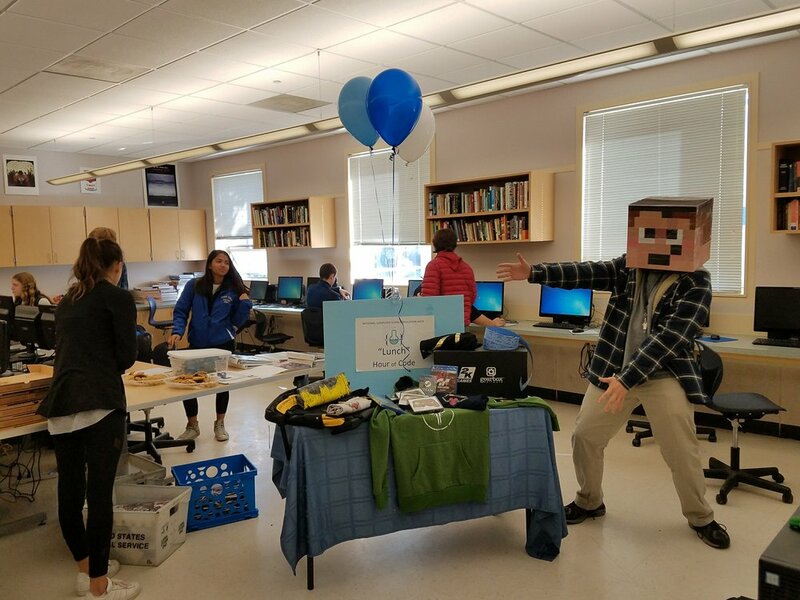 After 3-years away at Cal, Jack returns to his high school to find a new programs in applied computer science and student community interested in Tech! TL Innovation Lab students attended Mill Valley Film Festival Premiere screening of <<She Started It>> with Director Nora Poggi following Q&A discussion (pictured center with thumbs up)! Nora Poggi you inspire the entrespeneur in all of us!Thanks for inspiring us with empowering and powerful stories of risk, perseverance and following your dreams. 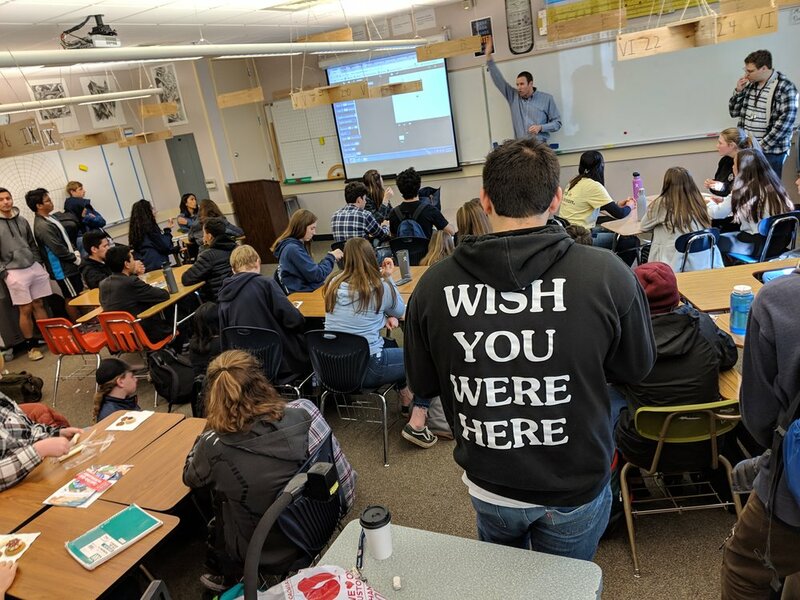 Hats- off to our generous hosts John Morrison, Director, California Film InstituteEducation and Melanie Nichols, Education Coordinator, California Film Institute for building community around gender and diversity in tech with our sister schools Miller Creek Middleand San Rafael High School! Go Team Coding for Climate Change! 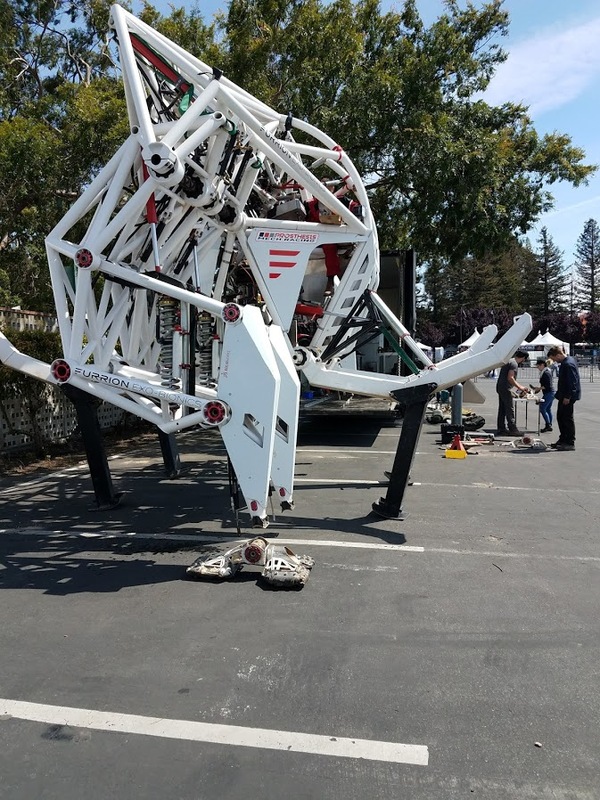 Go TL Innovation Lab! Go First Hackathon Team! 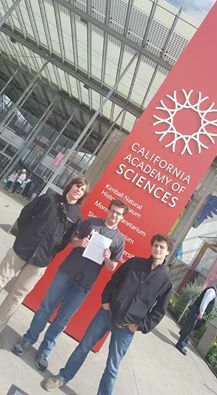 California Academy of Science 2016 Environmental Hackathon Game Jam 2016 Team! Best Pitch winner at California Academy of Science Environmental Game Jam Hackathon 2016! Since our founding with our first enrichment program TL Coding Lab in 2014, we have incorporated advocacy for computer science as part the role exceptions for our students. 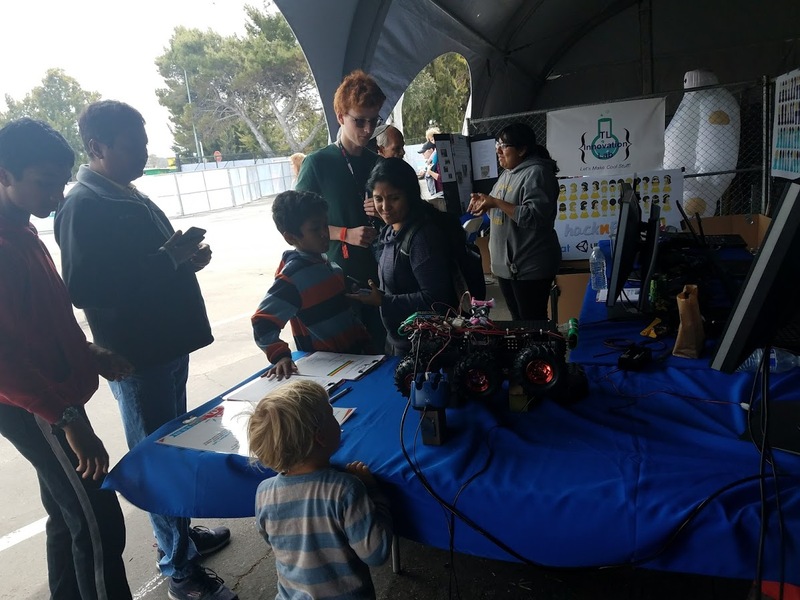 Our students know that through their participation in our coding, making and design labs they can help shape, not only their education, but also affect change for other students at TL and within our community. 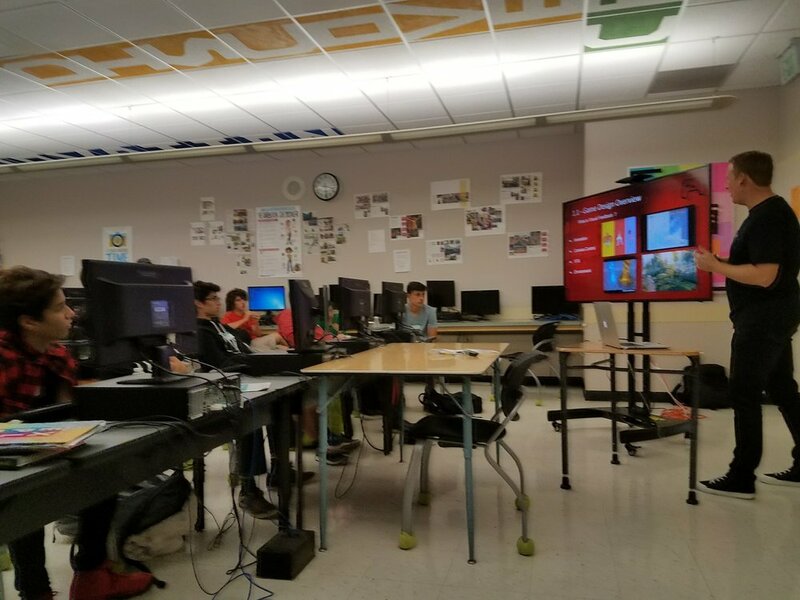 Our students have made presentations and interacted with our San Rafael City School District (SRCS) and partners to help build community and express the importance of learning computer science to better prepare them for college readiness and their futures beyond TL. Our students' enthusiasm and advocacy, and close collaboration with our Principal Dunlap, and leadership in our district, community, and industry resulted in 2 Advance Placement Computer Science courses added to our curriculum in Fall 2016. Also, TL Innovation Lab innovative enrichment programs serve as models for cirriculum development at TL. 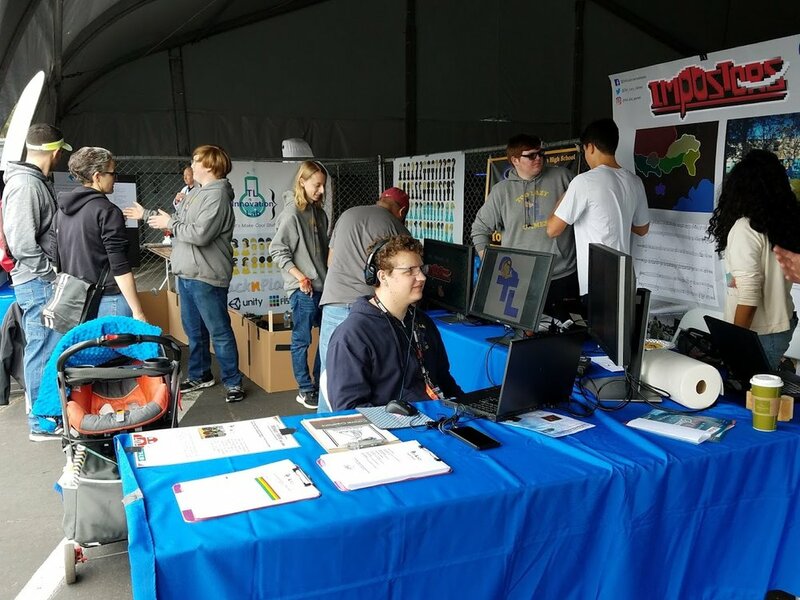 This Fall we are proud to share that our TL Video Game Dev Studio has been developed into a 3-year academic pathway for computer science, digital art, and media narrative writing. TL Innovation Lab provides an essential knowledge-base/skill-set to better prepare our students for future college readiness because of the shared vision and goals of our collaborative partners. Students of TLCoding Lab entered a competition iduring the summer 2014, to create a 90 second video to show how our IT Dept. 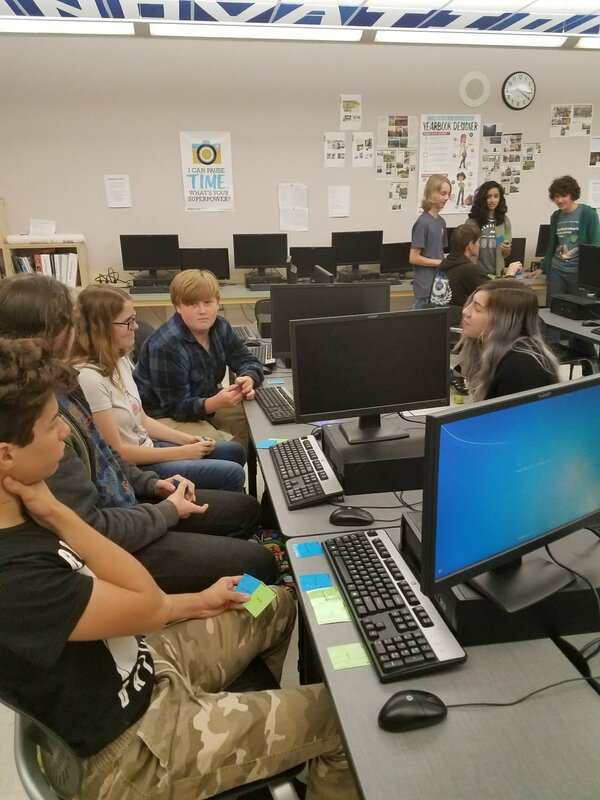 collaborates with our partners, admin, teachers, and students to provide computer science instruction, and innovation around tech at TLCoding Lab! Although we didn't win the $50,000 Grand Prize, we did have a whole lot of fun building community with our students, parent volunteers, and our corporate partner CodeHS while collaborating creatively together! This video also helped to raise awareness to the lack of access to academic paths in computer science at our high school and also helped to spotlight our students' enthusiasm for CS!!! Watch our video directed by the talented Nick Slanec, TLCoding Lab and MarinSEL Student at TL. 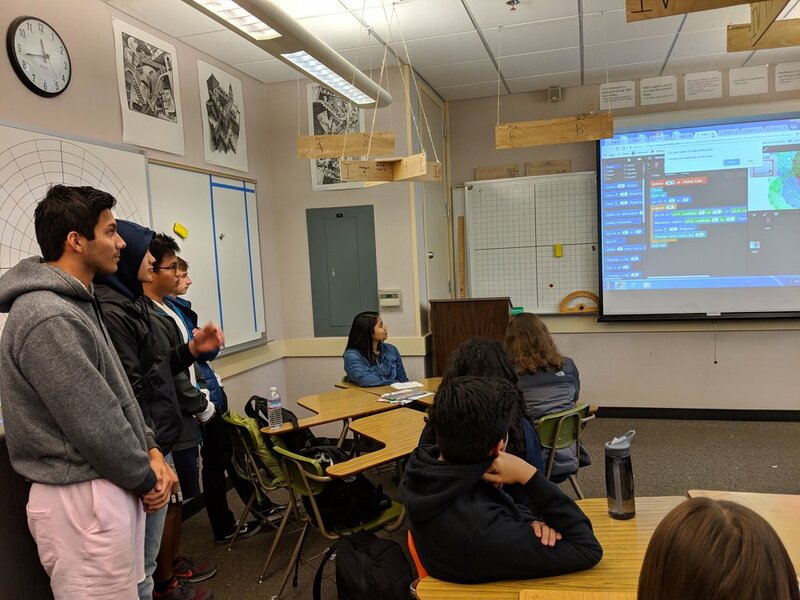 Student Advocacy like our video help to show our partners and school leadership that access to computer science and digital media is important for all at TL--and also one of the most diverse high schools in Marin County! Hackathon Fun for all! TL Innovation Lab and Marin School for Environmental Leadership teamed-up to enter Marin County's first hackathon, Hack4Health .Hackathon Fun for all! Writing over 600 lines of code and building an accessible database, our team created a civil action platform to engage public on local health issues for Marin County's first official hackathon. We were so happy to be part of this historic moment! 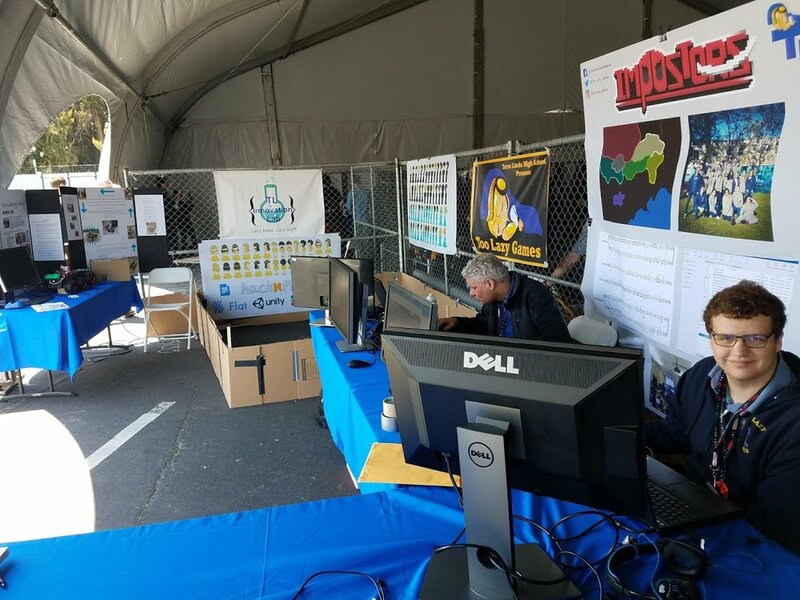 Thanks to Marin County Office of Education and awesome IT staff, Damon Connolly, County Supervisor · San Rafael, California, Coordinators, and all of our sponsors for a great day of hacking and coding! Together we had a lot of fun developing a civil action platform around health issues and data in Marin County. Hack4Health was a historic event in education and community around computer science and tech as it was the first hackathon in Marin County. 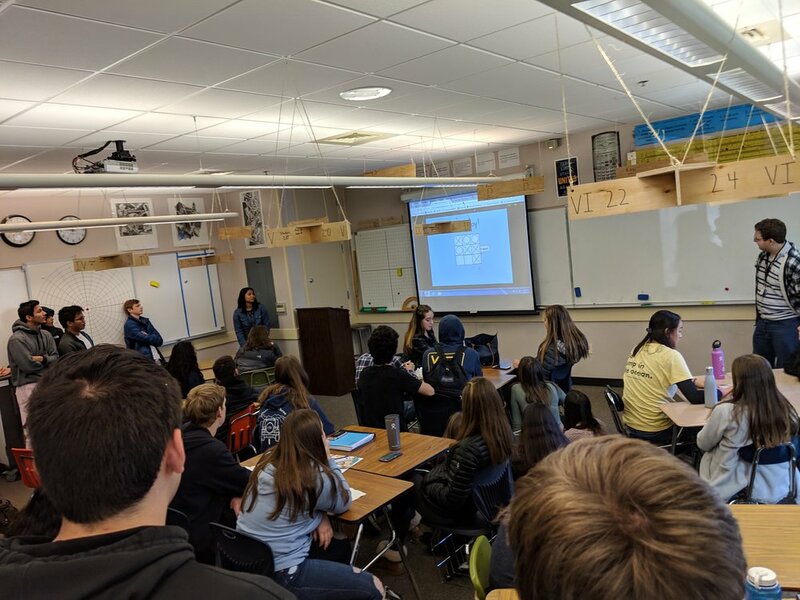 Thanks to Marin County Office of Education and Damon Connolly for a great day of hacking and coding with students from all over Marin and the Bay Area! 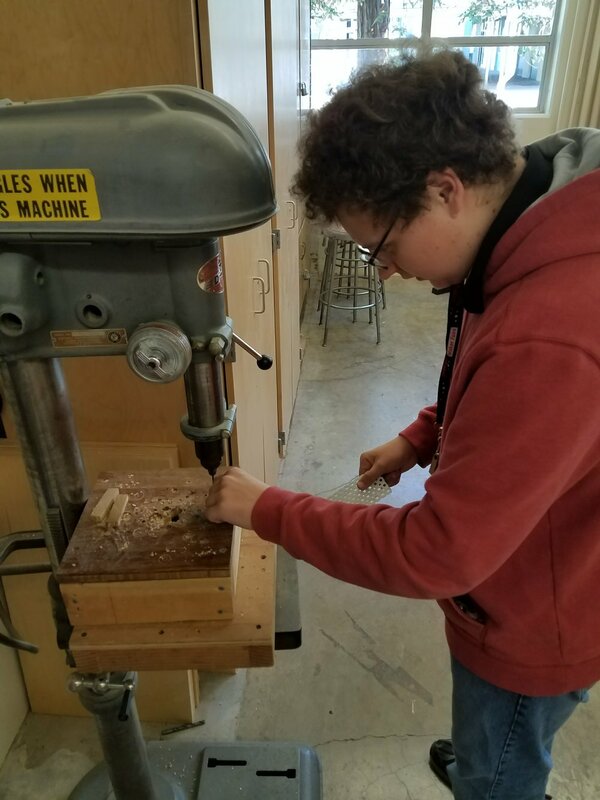 For the past 2-years, TL Maker Lab has been meeting as an after school enrichment program so our students will have more time to make so really cool stuff! Unfortunately, we had no teacher with a computer science and physics background available to teach so we reached our to our community and industry to engage professionals to teach and mentor our students in making really cool stuff with applied computer science. Roger Ruittmann, CTO, Reactful, Inc., has generously agreed to be our Guest Mentor for his second year at Maker Lab! See How Much Fun We Have with VR ! T TL Visual Arts Program and TL Innovation Lab along with our new community partners Virtual Augmented Reality Libraries will be launched a new cutting-edge Virtually Reality (VR) experience for students in the visual art classroom. Student will have the opportunity to create a virtual art studio where they can create unimagined 3 D art and emersive landscape environments using paint and 3D modeling programs with of Oculus, HTC Vive, and Samsung Gear devices and a Google Expeditions VR classroom. 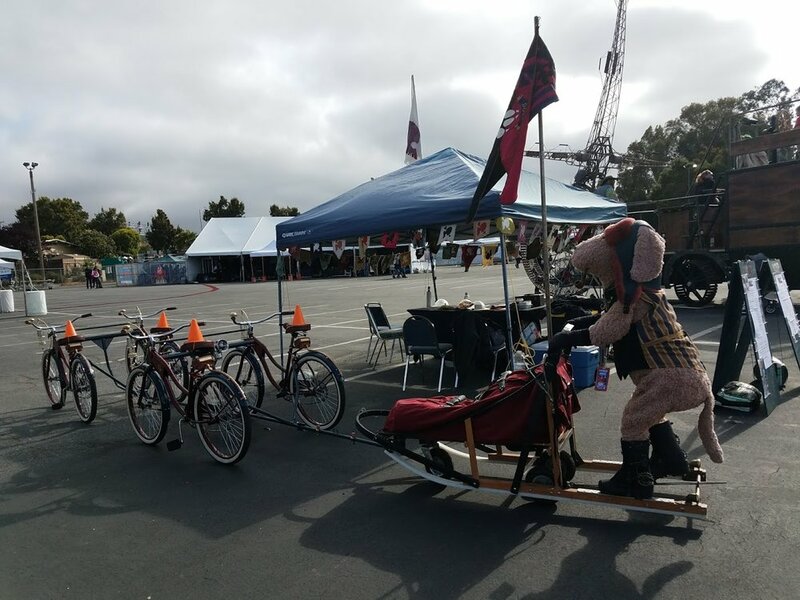 See how much fun we have in the virtual worlds!Thanks to our partners at VAR Libraries for offering this innovative way for creative expression in the 21st Century! Stop by Ms. Bernheim's Art Room to see our newly imagined masterpieces of the Digital World! TL Innovation Lab is made possible through parent, student, alumni, community and corporate partnerships! Make a difference! 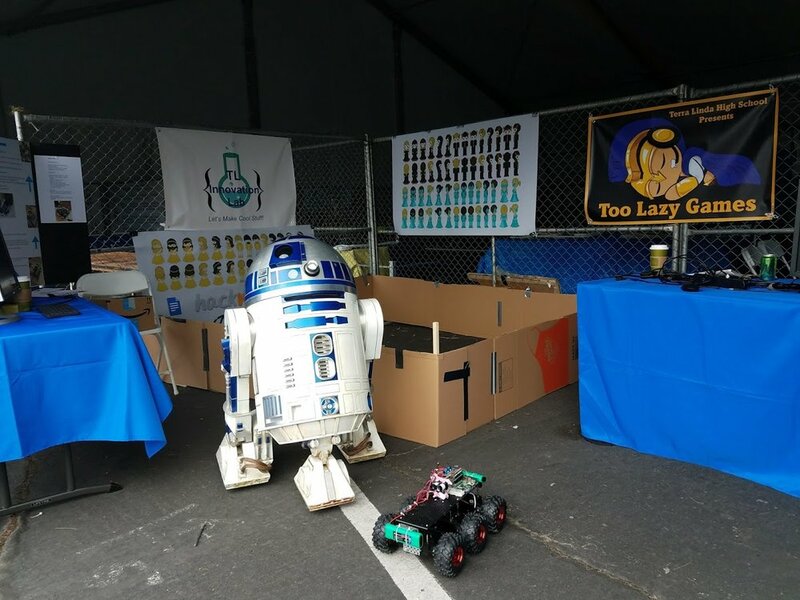 Help provide access to computer science and project-based learning at one of the most diverse high schools in Marin County. With your involvement, we can continue to support innovation and computer science to provide essiantial 21st century skills for college and career readiness while helping to bridge the gap in gender and diversity in computer science and tech. Contact Owen Bartolf, Student Founder at owen. bartolf@ gmail.com for more information about supporting computer science and digital media at TL! Our Mentors and Partners Bridging the Gap in Diversity and Access to Computer Science and Tech at TL!